The girls youth group volunteered one evening to dish out food packs in Leeds City Centre with another local organisation Hands Together’. 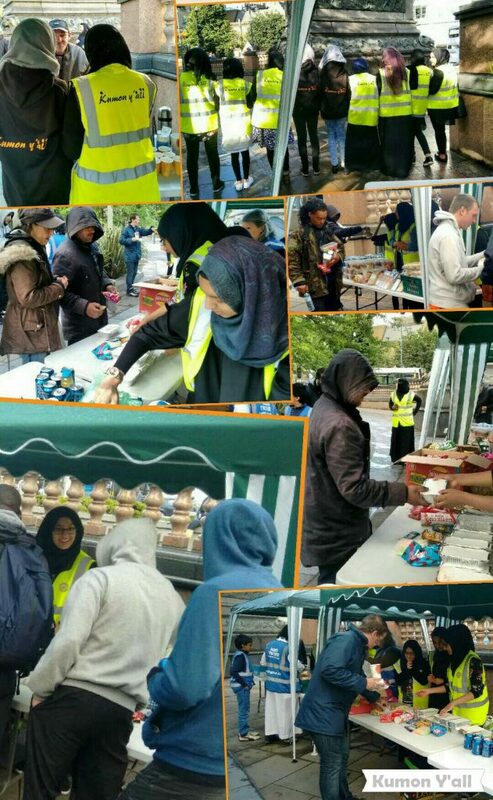 Despite the downpour of rain, it was a successful event where the girls gave out food and drinks to homeless people in Leeds. Highlights from the evening spent in Leeds City Centre feeding the homeless with ‘Hands Together’.